Beautiful Lake Murray water front 3 Bedrooms 2 Baths House. 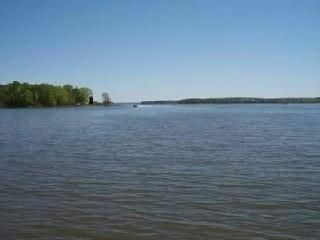 We are located on a point lot with plenty of water and over 400 Feet of water front. Bring your boat! We have a one hundred foot pier and boat dock. New, we just installed a new boat ramp you can now lunch your boat here on the property. We are on a one acre lot so there is plenty of room for parking boat trailers and cars. This Non-Smoking home has a beautifully decorated den done in nautical decor. The master bedroom suite has a sitting area and private bath with a walk in shower and Roman tub. The kitchen is fully-equipped. Also has a dinning area. The other two bedrooms share the other bathroom which is a full bath with a shower over the tub. There is a picnic area down by the water with table and barbecue. Also there is a camp fire area down by the water. This is a great place to vacation so came on down and join the fun. Great for family groups, business retreats, tournament fishermen, University of South Carolina (USC) football weekends, and The Masters (Only one and a half hours away). Amenities: Air Conditioning, TV, Full Kitchen, Microwave, Refrigerator, Ice Maker, Cooking Utensils provided, Linens provided, Washer&Dryer, Charcoal Grill (BBQ), Ceiling fan, Toaster, Coffeemaker, Blender. WE have BBQ catering available for groups. Activities: Hiking, Golf, Miniature Golf, Fishing, Wildlife Viewing, Shopping, Restaurants, Museums, Sightseeing, Swimming, Boating, Sailing, Water-skiing, Jet-skiing, The Great River Banks Zoo & Gardens. We are only 25 miles from Carolina Stadium. Wonder place to stay, exceptionally nice family and location next to the water. Our stay was comfortable and enjoyable. Mr. and Mrs. Yarbrough were very nice and helpful. The only disappointment was the lack of internet and cable tv. We are considering a return trip in October and would stay here again. We were only suppose to stay two nights, but ended up extending our stay because of the relaxing atmosphere.Home was very clean and roomy. The Yarborough's are such nice people.Will be going back again. This property provided a comfortable and relaxing time for our family. The location was perfect for all of our family to come with less than 3 hours driving. The cottage showed some age but we were delighted that we could bring our four legged family with us. It had all of the necessary kitchen equipment to prepare our Thanksgiving meal. My grandson loved walking down to the water and actually got to put a line in the water (too cold to catch a fish). Would recommend this if you are looking to get away from a very busy life. We are so glad you enjoyed your stay. Thanks for the kind review. Hope you will stay with again. Loved it. Just what we needed. Property was perfect. Very clean. Well stocked kitchen. Furniture was very comfortable. Definitely planning on a return visit. This place is a great hideaway off the beaten path. Beautiful lake views. I would recommend it to anyone who wants a getaway on Lake Murray. It has plenty of room, large area to turn your boat around in the yard, plug ins for boats, nice covered porch, and its like home away from home. We took seven people and slept comfortably for our recent high school tournament and even had the entire team over for a cookout with plenty of parking. Thanks Mick for a great place. We look forward to coming back next year. We enjoyed having you. Looking forward to seeing you next year. You Guys are welcome any time.